Rick Sharp was an innovative leader and dynamic businessman known for his many passions and his ability to change industries. He was the CEO of Circuit City, the nation’s first big box electronics retailer. He was a founding investor and CEO for the shoe brand Crocs. In 1993, he disrupted the used car industry, founding mega-retailer CarMax. By 2013, CarMax had over $12.5 Billion in annual sales at over 135 locations. Rick was also a devoted friend, father, and husband. 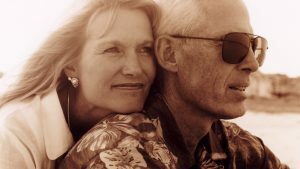 He married his high school sweetheart, Sherry, in 1968, and they remained married, best friends, and passionate in their pursuits until his death 46 years later in 2014. In addition to Sherry, he left behind two daughters and four grandchildren. Much like his passions in business and his hobbies, Rick’s diagnosis of Alzheimer’s in 2010 brought a passion for finding a cure for the deadly disease that would take his life four years later. He and Sherry donated more than $5 million for Alzheimer’s research, and he joined the advisory board of The Johns Hopkins University School of Medicine. 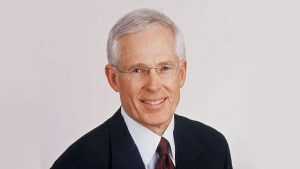 Upon his death, Sherry joined the board of the Cure Alzheimer’s Fund, and together with some of Rick’s business associates, friends, and fellow advocates, founded the Rick Sharp Alzheimer’s Foundation. The Foundation promotes the research of its partners, and helps to raise funds through events, like the annual Rick Sharp Classic Golf Tournament, to hasten this race to a cure. Since its founding, we’ve been able to donate over $2 million with every dollar going directly to research. Rick’s passions now live through all of us, and together, we can find a cure for Alzheimer’s. The Rick Sharp Alzheimer’s Foundation works with research and advocacy partners to raise awareness and critical funds to help the millions who are impacted by Alzheimer’s, and the families whose lives are touched by the disease.